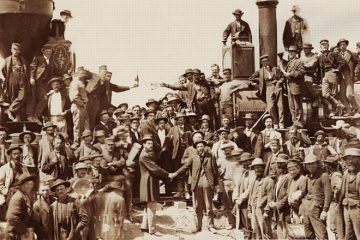 In 2019, Museum of Chinese in America (MOCA) celebrates the 150th anniversary of the historic moment when a golden spike was driven into the ground at Promontory Summit, Utah to mark the completion of the Transcontinental Railroad. 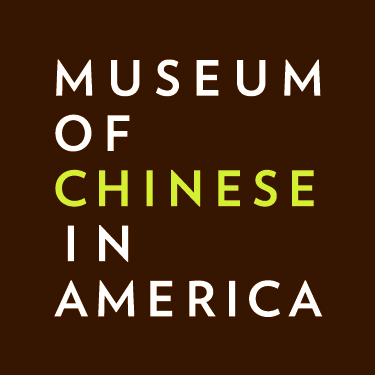 To honor the thousands of Chinese railroad workers whose contributions have largely gone unnoticed, MOCA is launching a year-long initiative to commemorate and tell the history of Chinese people in the United States over the past 160 years. 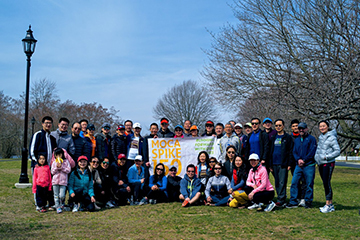 "MOCA Spike 150 - Running Forward With Our Stories" will rally 1,500+ runners across the country to collectively run 15,000+ miles, telling 150+ stories and organizing 15+ special events. 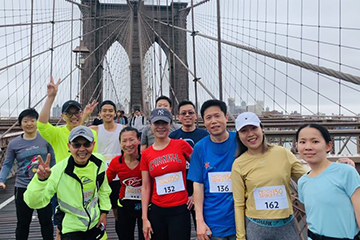 The event will culminate in the TCS NYC Marathon on November 3, 2019. MOCA welcomes you to join us in this unprecedented initiative, and welcomes runners to follow in the footsteps of this country’s first pioneers and make history. 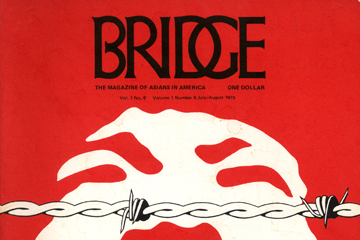 Bridge: the Magazine of Asians in America was a landmark Asian American publication. Historically, the mainstream American press had spoken for the white majority, either ignoring the experiences of Asian Americans and other people of color or covering their neighborhoods and members disparagingly. 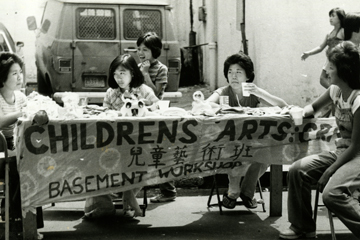 Basement Workshop was an Asian-American arts collective active from 1970 to 1986. As both artists and activists, the collective membership mobilized to advocate for healthcare, jobs, and resources for communities of color. 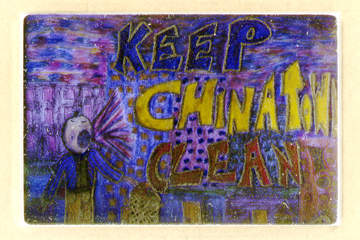 Chinatown has always had trouble with cleanliness but there is a constant effort to urge residents to be more environmentally aware and clean up the neighborhood. 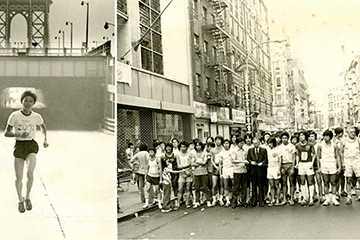 Let’s re-create this Chinatown mini marathon back in 1976! The country just had its bicentennial. Long summers. Black outs. Roller skates. Platform shoes. Charlie's Angels. Star Wars. Who knew running was a thing in '70s Chinatown! 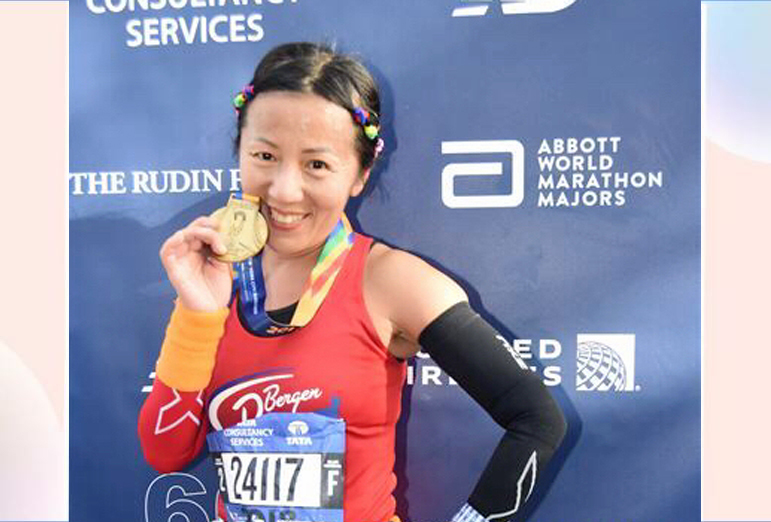 Leading up to the NJ Marathon, Half Marathon, and Marathon Relays on April 28th, a few passion-driven official NJM pacers have organized a 5-week training program free of charge to the incoming runners. 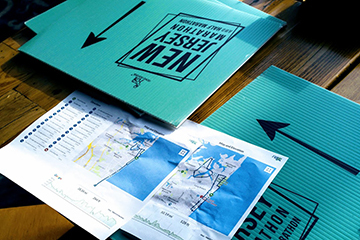 Two sets of distances and routes are designed for every of the five weekends, customized to fit runners’ training progress, for both full and half marathon participants.